With the Pastor in North Carolina after my set! I'm a stand up comedian whose comedy is family friendly and good for people of all ethnic backgrounds and ages from Comcast Cable to Showtime at the Apollo, I travel across the country as well as around the world doing comedy for all venues from corporate events to churches as well as comedy clubs. I have shared the the stage with some of Gospels biggest stars as well as comedy legends look forward to hearing from you soon ! It was such a pleasure to have Job do stand-up at my party. He was funny and really had everyone laughing with his clean comedy. I would definitely book him again. What a great time I had. Thank you for allowing me to take part in such a great milestone!! It was an honor to be apart of your event! Let's do something again! Great to work with and very funny. Job was a pleasure to work with from the beginning. It was our initial contact that convinced me he was the right person for my event. He was hilarious and all those in attendance were pleased with his performance and personality. They complimented him days after the performance was over. I would definitely use him again. Job was hilarious and did a great job at our event! I got glowing reviews on Job from all that were in attendance. It was a pleasure working with House of Grace Church! I wish them well! We had Mr. Job Mixson for our sons homecoming party from being overseas with the military. He was great clean fun and I had a lot of people tell me how they thought he was very funny and did a great job! I would highly recommend Job Mixson for your next event! 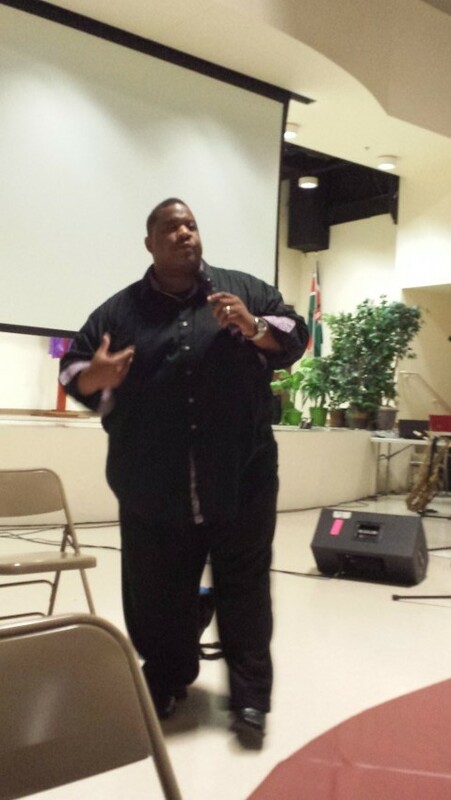 Our organization was very fortunate to have Mr. Job Mixson join us for our comedy show in May 2015. Mr. Mixson's brand of comedy is not only hilarious, but appropriate for the entire family to enjoy. Our customers are still talking about his skits, stage presence, and ability to engage the audience. Job's comedy is witty, and at the same time so easy to understand. I would recommend Mr. Mixson for your next event as you surely won't regret it. Being in the business of concert promoting since 1996, I have to rate Job Mixson and his management team as one of the best. His manager was easy to work with, timely with responses and obtainable. Jobs professionalism stood out when he arrived, he set my mind at ease upon arrival with his quick wit and jokes. Every place we went Mr. Mixson had people laughing (hotel, stores and on the street). He is a must for any event. If you don't know about Comedian Job yet, mark my words you will. May God continue to use you to reach, inspire and lift with your gift. Thank you for blessing Buffalo,New York on August 2, 2014. LETS DO IT AGAIN SOON!!!!!!! I booked Comedian Job for my aunts' 50th birthday party and boy were we in for a treat! My experience with him was pleasant from start to finish. He was extremely professional and his set was hilarious! Job helped to make my aunts special night a success. We will definitely call Comedian Job to do future functions. If you're looking for a funny, family friendly comedian look no further... Comedian Job is your guy! Family friendly comedy Act. Services include: hosting an event, providing comedy routines ranging 10 to 60minutes. Job is from Philadelphia, PA. Has been doing comedy for about 8 years. Job's comedy career includes performing comedy not only in the USA but overseas as well. He's worked with comedians Joe Torry, Tony Roberts, Eddie Griffin to name a few; gospel artists Fred Hammond, Hezekiah Walker and William Murphy and many more. 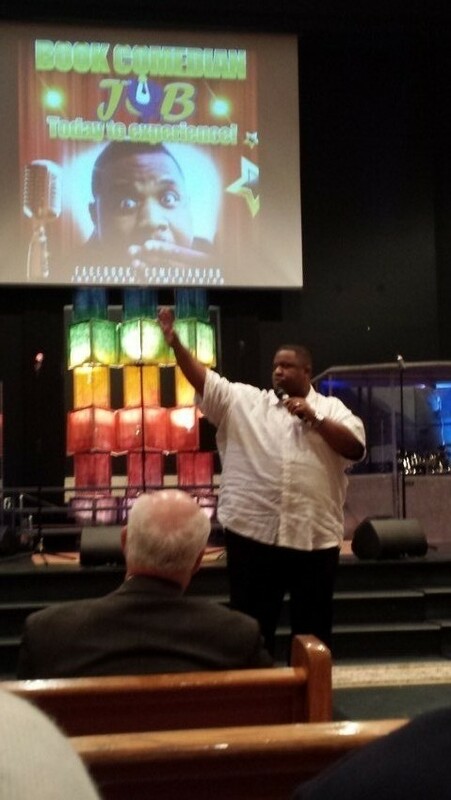 Job attends Bethel Deliverance International Church serving under Bishop Eric Lambert in Wyncote PA. You can expect a family friendly comedy set each time he takes the stage. Reserves the right to publicize pictures from the event on personal website or social media accounts. Purchaser should provide adequate lighting and an adequate stage. Cedrick The Entertainer, Bruce Bruce and Joe Torry.